Eugene the Red Dragon is known throughout the kingdom for his fire breathing skills!But don?t worry, he?d rather have a BBQ than set a farmer?s field ablaze! Eugene iscrafted with a velvety red material that features a fun scale pattern. 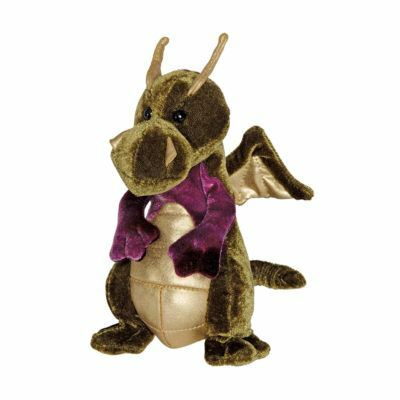 Interior polyester fillmakes him squeezably soft and ready for a lifetime of hugs and adventure. Glittery eyeslend Eugene a lifelike expression. 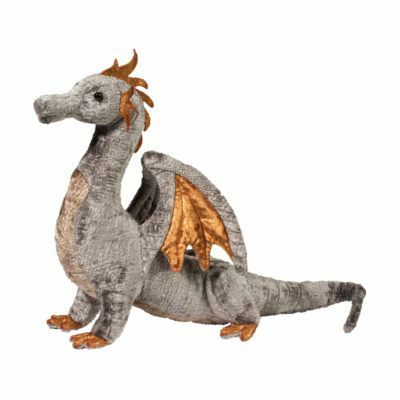 For additional fantasy fun, metallic gold material hasbeen selected to accent his appearance. 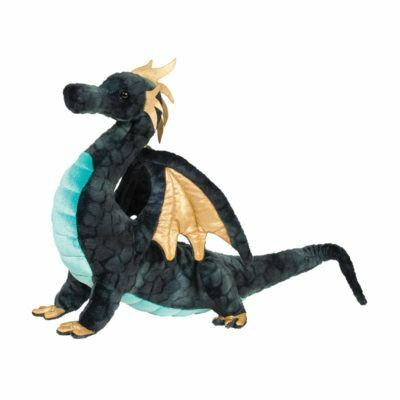 The undersides of his wings shimmer brightlywhile the scales on his belly and his crest glow golden. 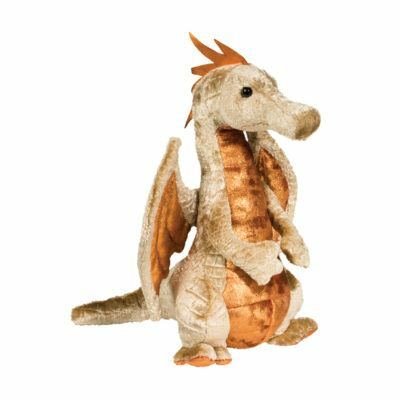 This engaging stuffed animal isposed in an upright seated position, all the better for rearing back and letting loose witha breath of fiery flames! 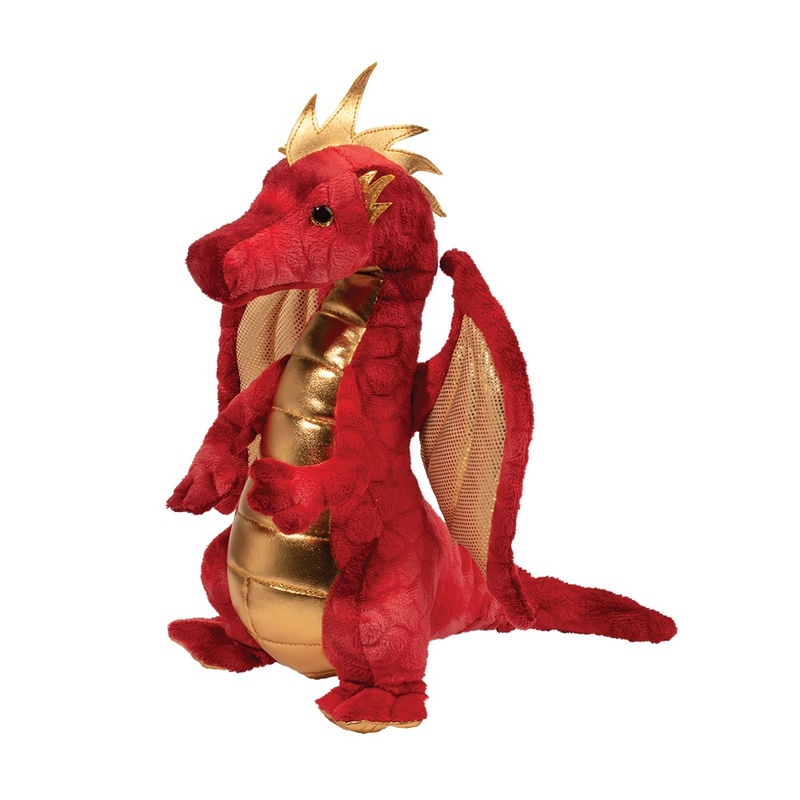 Make Eugene the Red Dragon plush your own and prepare forsome red hot fun!